Old McGrandpa had a farm and on this farm lives a duck, rabbit, sheep and pig. This farm blanket will give three to twelve months girls and boys a feeling of fun down on the farm. Each toy is made with flannel and fleece fabric. The duck crinkles, rabbit squeaks, sheep giggles like a bell and the pig rattles for their noise maker. Watch for run-away farm animals as they unsnap for play. 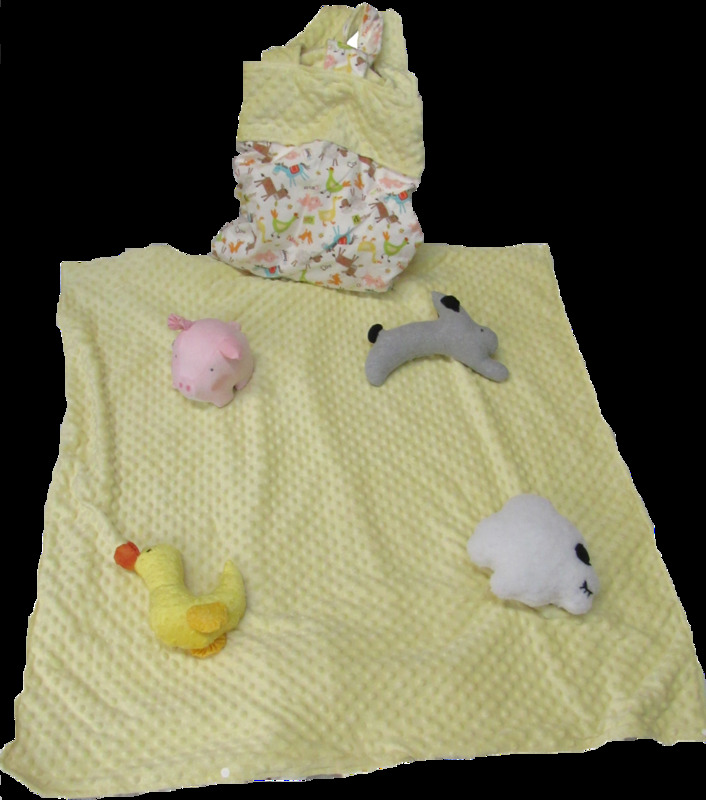 The activity blanket is made of printed farm animal flannel and yellow Minky fabric.